We have fallen in love with the font family Abril. What an incredibly versatile set of typefaces. You can browse through the gallery of infographics to the left to see our favorites. We’ve used Abril Fatface on our own website because it is sensual, bold, modern. It is definitely a statement font and makes a great choice for stylish logo. 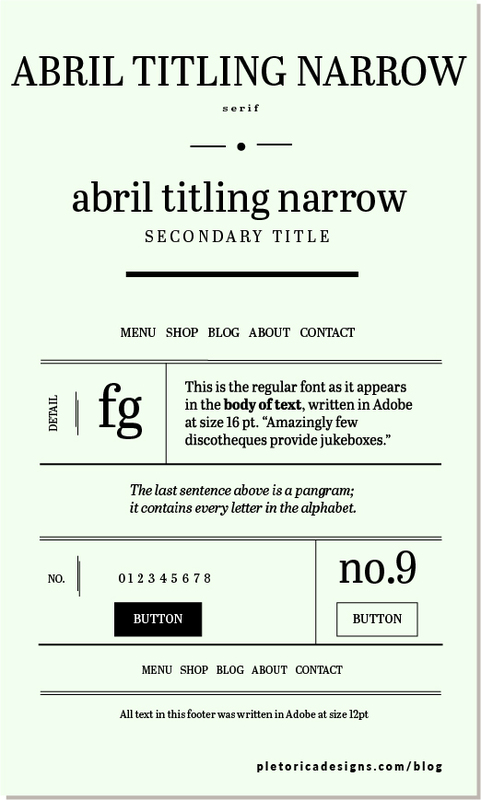 Abril Text and Abril Narrow, on the other hand, could not be more practical and both are legible enough to take on long paragraphs. Abril Fatface on titles and display text here on Plétorica Designs homepage.